I've said it... well. quite a few times, but I'll say it again- I LOVE a good face mask. There is just something about them I can't resist. I always have a few to choose from and a pretty good selection of sheet masks for even more masked mayhem (I love a good alliteration every now and then too). 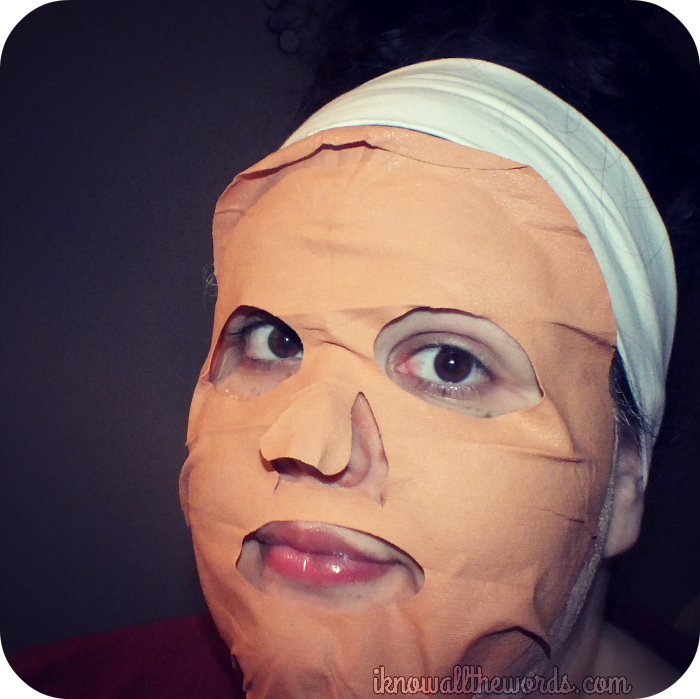 So you can see why I was excited about the new Montange Jeunesse Clay Spa Face Masks. They're fabric masks infused with clay or mud- depending on which variety you choose- but aren't just your typical mask. 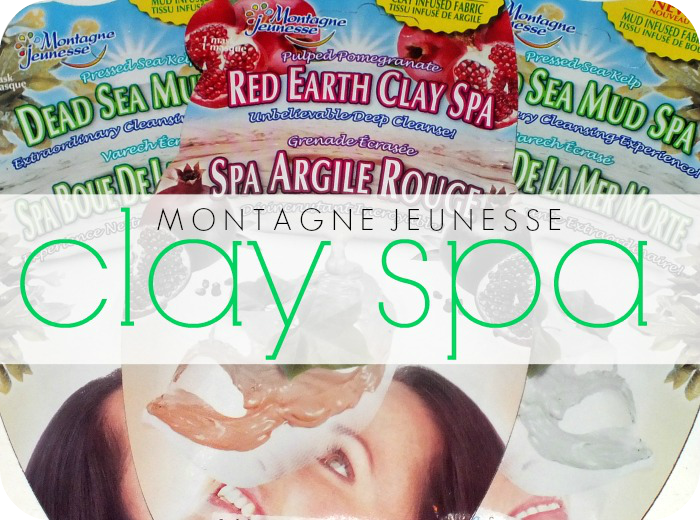 Unlike other sheet masks that target skin-types or conditions, the Montange Jeunesse Clay Spa masks cleanse skin. Each variety- there are three, I thought I had one of each but I had two of one variety- cleanses in a different way using a variety of natural ingredients. The Glacial Clay mask (the variety I don't have) is formulated to glacial clay and red grapes to deep cleanse pores and protect skin from free radicals. The Dead Sea Mud mask is formulated with dead sea mud, dead sea salt, seaweed and kelp to cleanse skin while re-hydrating and providing a boost of minerals and vitamins. 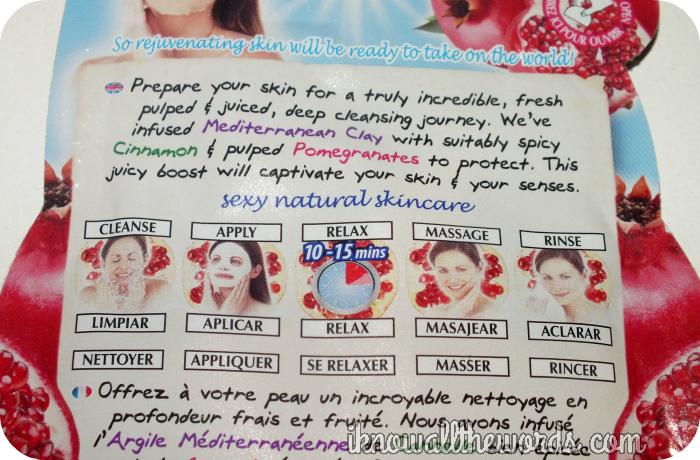 The Red Earth Clay mask contains Mediterranean clay, pomegranate pulp and cinnamon to deeply cleanse skin. This one also happens to be my personal favourite. The masks are super easy to use- you just apply them onto clean skin and leave for 10-15 then massage any extra essence into skin and rinse. Yup, rinse. A step not usually necessary with sheet masks, but as these contain a cleansing solution, it does make sense. The solution is coloured like the mask itself, so don't be surprised if you look a bit like a sweet potato- as was the case with the Red Earth mask- once it's removed. The cleansing solution washes away easily and leaves you with skin that feels amazing. It's got a squeaky clean feel but it's a comfortable clean with no trace of tightness or dryness. Unlike most of the Asian masks I've used in the past- none of which cleanse skin- these masks smell like the ingredients they're composed of. 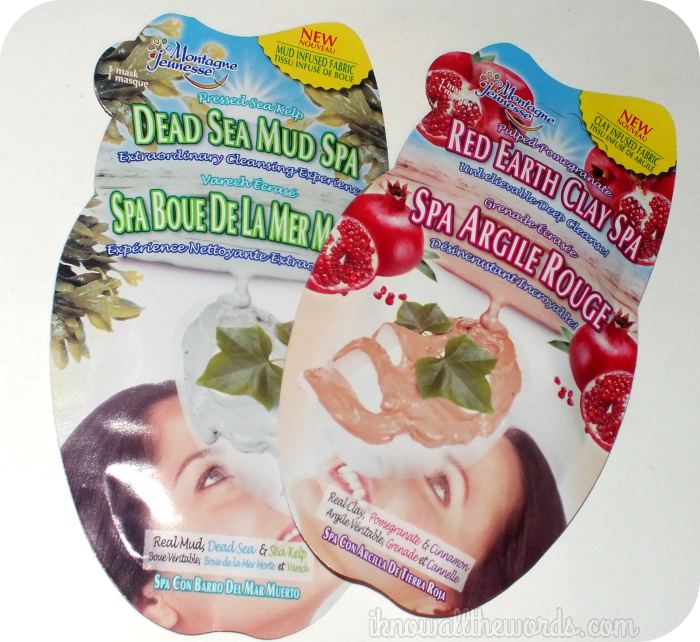 The Dead Sea Mud has a fresh, almost aquatic scent, while the Red Earth Clay has a spicy, fruity scent. It's a nice touch and it adds to the whole experience. Overall, I really like these masks! I love that because they're by Montagne Jeunesse they're easy to find in stores; most drugstores and mass market stores with a beauty section carry Montagne Jeuenesse and at $2.49 each they're budget friendly too. The full range of Montagne Jeunesse products are also available online from Farley Co. Have you tried these? Are you a fan of sheet masks?